The Wii still enjoys a massive lead over the PS3. But for how long? Nintendo Wii sales are slowing in Japan, it seems. While the Wii outsold Sony's PlayStation 3 by a healthy 3-to-1 ratio in August, the ratio had been around 4-to-1 in July and a whopping 7-to-1 in June. "Nintendo sold 245,653 units of the Wii in the four weeks ending 26 August, compared with 81,541 units of Sony's PS3," reports Reuters, citing numbers from game magazine publisher Enterbrain. Microsoft's Xbox 360 lags well behind with 11,288 sales. Compare this with the Enterbrain stats for June - Nintendo had shifted 270,974 units of the Wii in that month, compared to 41,628 units of the PlayStation 3. The Xbox 360 racked up a modest 18,000 sales. The Wii recently became the world's best-selling games console, edging past Microsoft's total of 10.5 million Xbox 360s sold. But the Wii's stalling sales in Japan are another indication of the Wii's biggest problem at the moment - a distinct lack of things to play on it. Both the PlayStation 3 and the Xbox 360 are gearing up for a Christmas run-in that includes a number of highly-anticipated exclusive titles. The PS3 has the likes of Gran Turismo 5, Haze and LittleBigPlanet. The Xbox 360 catalogue will be lit up by biggies like Halo 3, Project Gotham Racing 4 and Mass Effect. Other triple-A titles, such as Call of Duty 4: Modern Warfare, FIFA 08, Pro Evolution Soccer 2008 and Assassin's Creed will be available for both consoles. Nintendo has had a great deal of success in attracting millions of gamers to the Wii's unique motion-sensing control system. 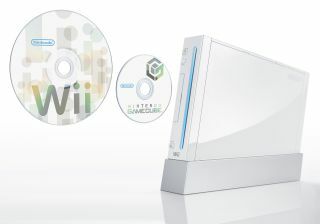 The Wii makes the perfect 'party console', ideal for casual gamers and veterans alike. But the appeal of the Wii's launch titles is now starting to wane. Nintendo needs more games, fast, and not just quick-fix versions of existing console franchises. Nintendo will be hoping that it can maintain its momentum with forthcoming titles such as Metroid Prime 3 and Super Mario Galaxy. Despite the Xbox 360's strong September-December software line-up, Microsoft must know that the Japanese battle is all but lost. For the PlayStation 3, this Xmas period will be crucial. It might be time to take Sony's console seriously.